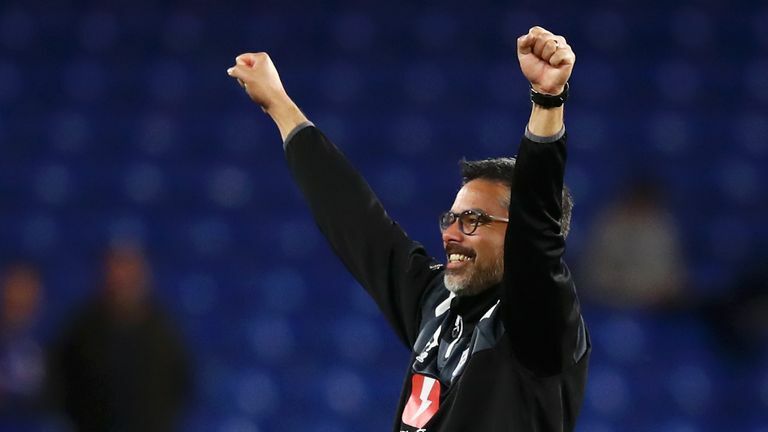 Monday marks three years since David Wagner arrived at Huddersfield and set about transforming the football club. 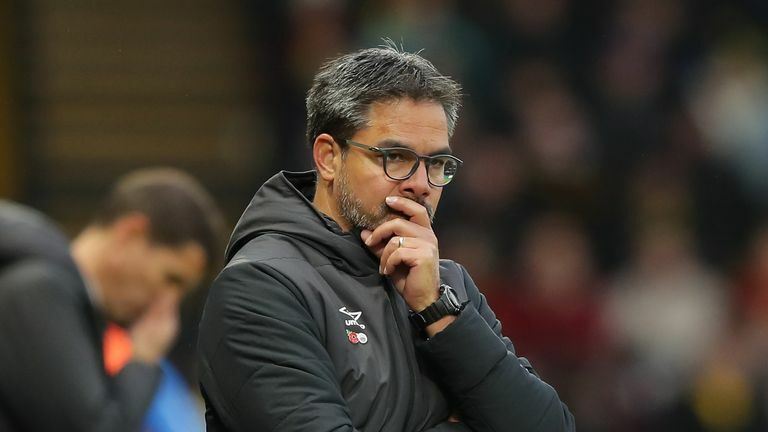 Now in search of what Jurgen Klopp recently described as his "third miracle" the challenge does not get any easier for the Terriers. But it is those who have been here since the beginning that fully appreciate his impact. Mark Hudson captained Huddersfield to an unlikely promotion from the Championship in that first full season before moving to a coaching role at the club following his retirement. When he begins to describe Wagner's impact on the place, you know he means it. "People that are not here won't see it but we saw it from day one," Hudson tells Sky Sports. "What he wanted to achieve, what his identity was and how he delivered his idea - he got that straight across with the players and the fans right from the beginning. He has created that environment with everyone wanting to learn and get better. That can take time but he really did manage to do it from day one." If there is anybody that knows the club as well as Wagner it might just be the 36-year-old Hudson. While he only arrived in 2014, he is a natural leader having captained his three previous clubs and soon put himself at the heart of this project. "I feel part and parcel of it, for sure," he says. "There is a real connection." Not least because he spends so much time at the club. "I work proper hours now," he says of his coaching role with the U23 side. "None of this professional footballer two-hours-a-day job. As a player you just focus on the next game but I eat and sleep it now. I am always learning, preparing training sessions and stuff like that. I very rarely see the missus and kids. You'd best ask them if that's a good or a bad thing!" Hudson's route to his current role was unusual in that Wagner encouraged him to get to know every aspect of the club before settling on it. So as well the coaching work, he briefly tried his hand at scouting and even spent some time within the media department. "In all honesty, I don't think it happens enough," he says. So what has struck him the most? "The level of detail and the sheer drive to learn and push and see what percentages you can get from anything really," he says. "The level of detail from the boss and his team is amazing. That is what they are looking for and the time and effort that goes into getting those messages to the players is brilliant. I couldn't have learnt from anyone better really." Now Hudson is tasked with getting those same messages across to the younger players at Huddersfield. The club's setup is a little different to many others in England following the decision to downgrade their category two academy in order to give them greater freedom to tailor their own youth programme instead. The Terriers saw themselves as victims of the player stockpiling prevalent at the big clubs - many of whom have access to local talent as they are under an hour away. They still work with the foundation charity with the youngest age-groups but are only running U17 and U19 teams alongside Hudson's elite development group. He insists it is working for them. "We have a kind of European model and I happen to think it is the best games programme going," says Hudson. "The games that we can arrange for the players, it can be a men's team one week, an international team the next. We have played Celta Vigo, Bayern Munich and Braga. We recently went to Italy to play Atalanta and Udinese. "That variety of football gives our players the chance to experience every type of football and that's what you want. You don't want to be playing the same games week in and week out and the club have supported us with that. I know the players are enjoying it too and we are creating better players on and off the pitch, which is what we are trying to achieve." They are not just looking to create any players but Huddersfield players. That means sticking to Wagner's pressing game. "The club has a recognised identity and style of play," adds Hudson. "We have adopted that and we train it. It is a club thing now. There is not one area doing one thing and another doing another thing, we are all going in the right direction. "The aim is to get them to the first team by doing it that way. We have a few that are coming through who will be there or thereabouts given time. The boss is looking at them and they are going over to first-team training and doing well. I am trying to deliver what I can for the younger generation coming through." Hudson speaks with real purpose and the impression is of a man who has found his calling. "Now that I have done this for a year now I can definitely say I would not have wanted to do anything else," he adds. Huddersfield feels like a club that is together and still working towards a clear vision. But results will still define how the next period is perceived. Bottom of the Premier League going into Monday's home game against fellow strugglers Fulham - the club where it all began for Hudson - they are still awaiting their first win of the season. "If you look at our run of games it has been really tough and we know that the second season in the Premier League can be tougher than the first," he says. "People have a better idea of what you are about and try to work you out. But we are all striving for more and trying to eke out those percentages. With the work ethic that we have, we will stick together because we knew it wasn't going to be easy." Not easy, no. But three years on from Wagner's arrival, Huddersfield are in better shape than the table suggests.